I am always happy to answer any questions, please use the form on the right to contact me. Cotswold artist Rachel Vynne taking commissions for paintings of children and pets animals; dogs, cats, horses. Also selling original award winning oil paintings and limited edition prints. Based near Highgrove, Tetbury, Gloucestershire. Regularly exhibits in London. Rachel Vynne is a classically trained award winning artist working and living in Tetbury, Cotswolds. Beautiful and unique painted portraits, capturing the moment and the spirit of the individual. Rachel Vynne is an award winning artist, classically trained in Florence, Italy. With an emphasis on creating fresh and contemporary portraits in oil on linen, she produces a fine, luxury item which is an elegant addition to the smartest home. 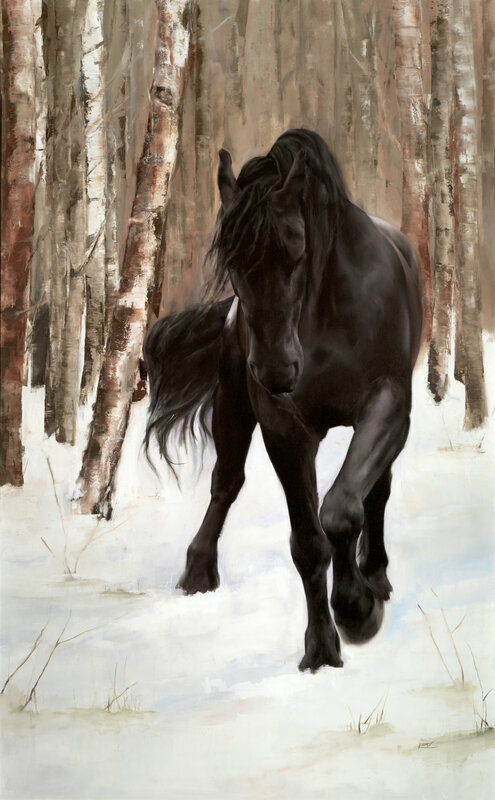 In this collection of prints you will find examples of paintings of horses, wildlife, birds and various other animals. Please browse the shop for available prints. As with human subjects, animals hold the same inspiring challenge. To capture the essence and true nature of the subject, from the powerful yet gentle nature of a horse in movement to the fleeting moment of thought in a fox, this is where my interest lies. I also take commission for animal paintings, following the same process as above. If you are interested, please get in touch I'd love to hear from you. We are now offering monthly Art History lectures led by Art Historian, Fiona James. Wishing to offer a holistic approach to the classical art training offered at the school. ‘Sculpting the dog from life’ 3 day Sculpture Course with Member of Society of Portrait Sculptors ‘Ellen Christiansen’ 29th- 31st October 2018.
at the Society of Equestrian Artists, horse in art exhibition 2017.